WASHINGTON – Congressional Leadership Fund (@CLFSuperPAC), the super PAC endorsed by House Republican leadership, today released a new television and digital ad, “Voice,” in New York’s 19th Congressional District. The ad highlights Antonio Delgado’s extreme beliefs and hateful rhetoric that is filled with sexist and anti-American language that minimizes the 9/11 tragedy. The ad will run on television and digital platforms in the Albany and New York City media markets. This is CLF’s first television ad in New York’s 19th Congressional District. In addition to the ad campaign, CLF has opened a field office in New York’s 19th Congressional District. Each CLF field office is supported by a full-time staffer and hundreds of interns and volunteers who engage with voters on a daily basis through hyper-targeted phone banking and door-to-door canvassing. Watch the ad, “Voice,” here. 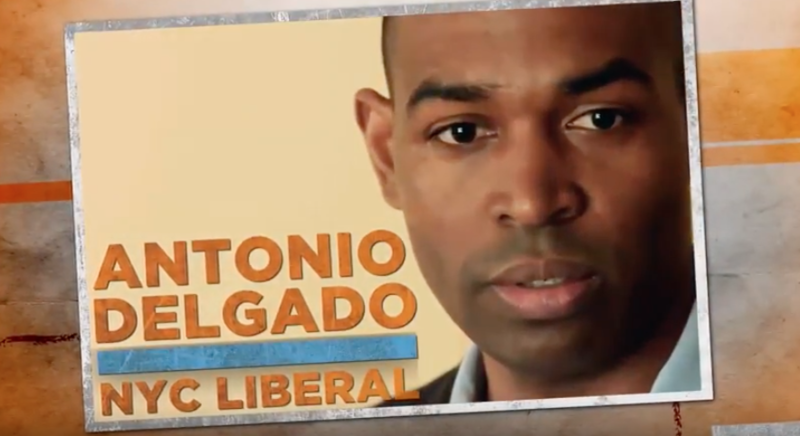 VO: Meet New York City liberal Antonio Delgado. Before moving upstate to run for Congress as Pelosi’s candidate, Delgado was an L.A. rapper called AD the Voice. VO: Worse, Delgado laced his lyrics with extremist attacks on American values. VO: Antonio Delgado can’t be our voice in Congress.